This gourmet BBQ sauce has the delicious flavor of the Original barbecue sauce, but with a thicker consistency.This sweet and thick hickory smoked flavor is mild, yet mouth watering. It can be used as a marinade as well as a glaze and is excellent on chicken and pork. This sweet and spicy gourmet barbecue sauce has a robust cayenne pepper flavor which gives it a nice little “kick”! It’s delicious flavor and unique texture gives the term “hot and spicy” a whole new meaning. It is excellent on chicken, beef and pork. 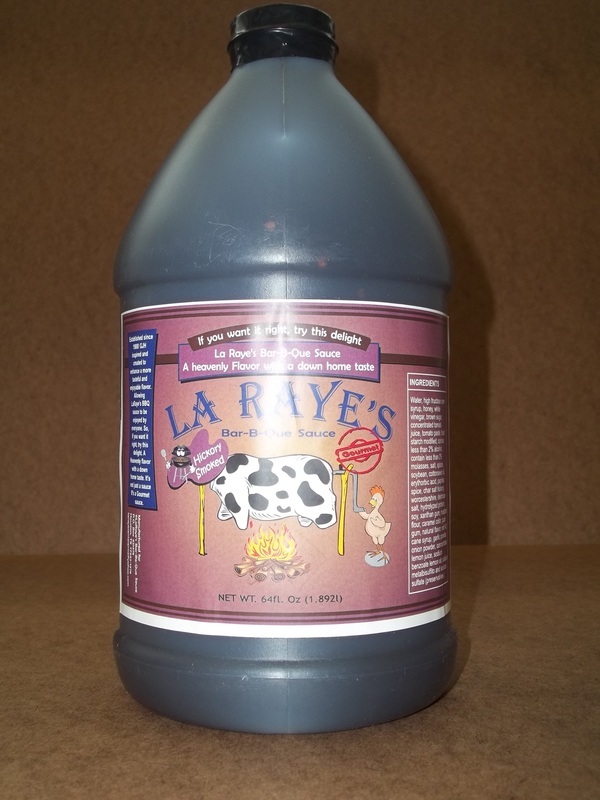 You can also mix it with some of the milder LaRaye’s Bar-B-Que Sauces and create your own unique flavors! 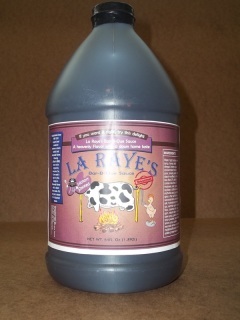 La Raye's Mesquite, 128 oz. It's a mildly sweet light spicy sauce with hints of mesquite, peppers, and other spices that yield a distinct, long lasting, bold flavor. Best used on any beef and pork. La Raye's Tequila Sunrise, 128 oz.